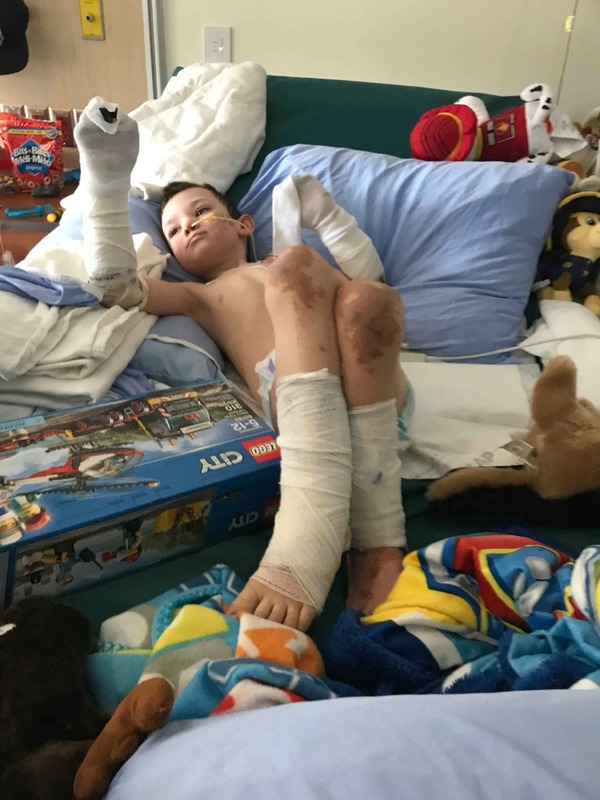 Evan Shishakly, age 4, was airlifted to Vancouver Children's Hospital in the early hours of Monday, March 26th, 2018.
attacking his body, mainly affecting his circulation. Evan is in stable but critical condition at the moment. This family is facing significant out of town expenses while Evan fights for his life in Vancouver. This fundraiser will assist with support for Evan & living expenses for Evan's mom, Katie (and close family), to stay by his side. Evan's limbs & extremities have been affected by the septicemia and he will be facing a challenging recovery ahead of him. Your generosity will mean so much to this young family during this difficult time, and in the days and months ahead. 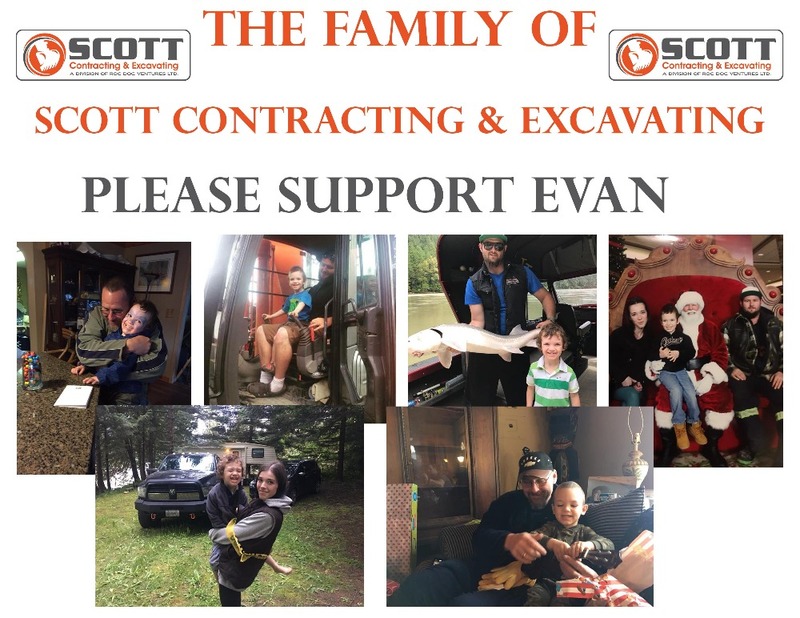 We have started a page to bring updates on Evan’s Recovery. Such a mix of emotions for Katie and Joe at the moment. Every day Evan is improving and he shows it with a hug and whispered, "I love you's." I've learned from Joe today just how much they don't know about Evan's condition. 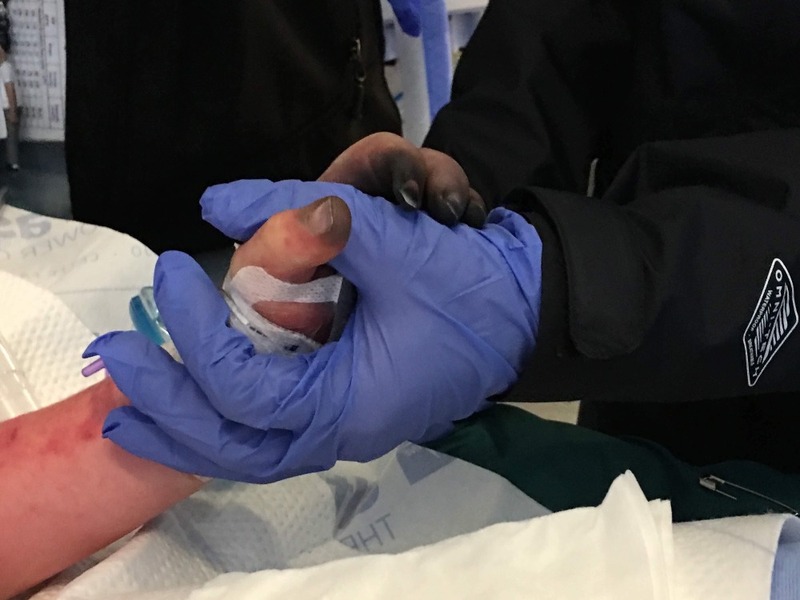 The damage done is very serious and Evan will be having all of his fingers amputated (thumbs may be minimal). His right hand remains the most severely affected and it's unknown at this point if they can save it or if it too will be amputated. Other areas affected by the blood poisoning are responding well to treatment, some will need skin grafting and so Joe & Katie have much to be thankful for. Evan has started to eat and drink but has a high level of pain at the moment, and is too weak to sit up on his own. The journey ahead is a long one but WOW, EVAN! This little man shows his spirit and love everyday. Katie, Joe & Evan - we believe in miracles and we believe in you! Evan is so strong and our little man is fighting back! New Room with a view !! New Blanket!!! New stuffies!!! And a TV how cool! 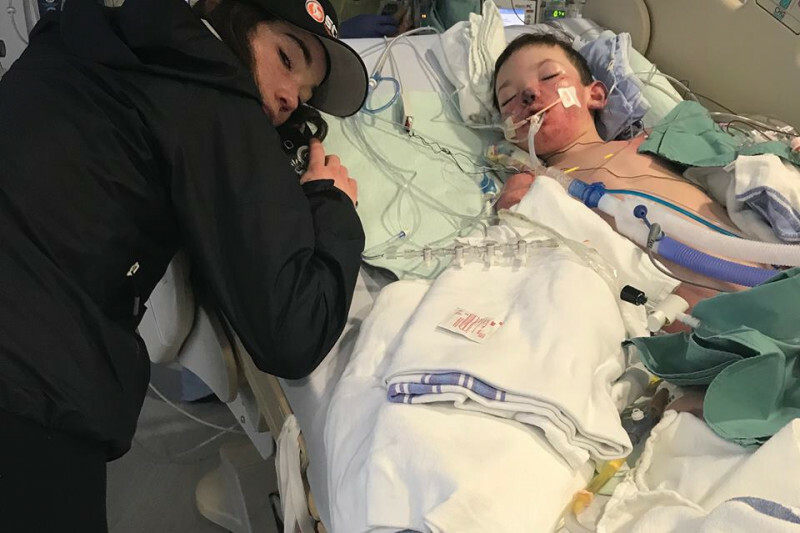 Evan's breathing tube has been removed and on Sunday, he was transferred to a new room in intensive care at Children's Hospital where he will likely remain for the next 5-6 weeks. 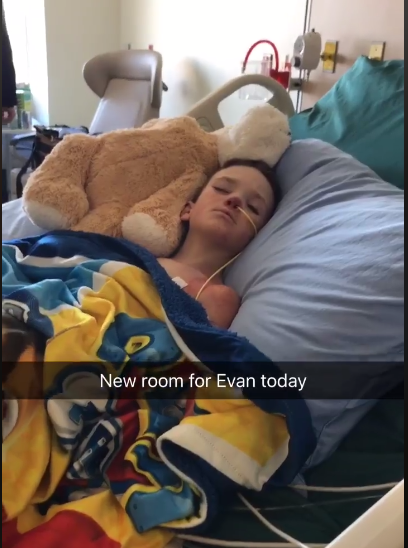 Over the past couple of days, Evan has been waking up for a few minutes on his own, trying to talk a bit to his family. Evan is still requiring constant medical support for his body & organs to continue to fight this infection. 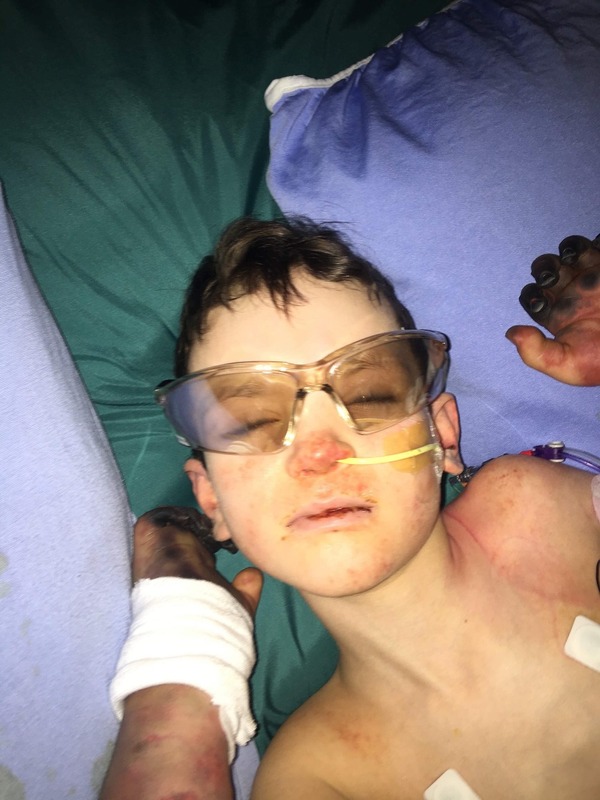 For the moment, Evan is facing the likely amputation of his right hand and the fingertips of his left hand, Many other parts of his skin & limbs are responding well to treatment.